Dear Rinpoche, This is so beautiful. Thank you. So elegantly put in verse Rinpoche letting us see how obsticals such as illness an sickness can be overcome by continually practising the teachings and insights that you Rinpoche convey to ourselves through the many aspects that you tirelessly assist us with through the teachings. 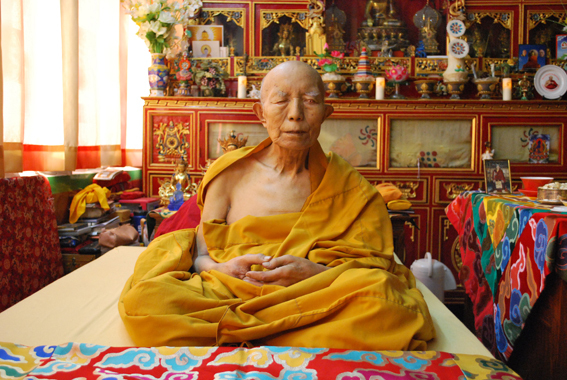 The photo in its self also brings with it a sumination of overcoming obsticals, my prayers go out to Tenga Rinpoche .